Apparently it’s not just cameras that are boring…mobile phones seem to be suffering too. An article on wired.co.uk suggests that mobile phone makers are having similar issues to camera manufacturers. After a few incremental upgrades to phones it would appear people aren’t buying new models as often as they once did. So are we getting bored with minor changes or have we reached the point where the value in upgrading, for most of us, isn’t there any more? In the case of mobiles it looks like a combination of things, including increasing flag ship prices are playing a part. Together with the realisation that you don’t have to change your phone every two years when your contracts up. The article also states that cheaper manufacturers are eating away at the mid range market quite successfully. When Canon and Nikon release their mirrorless cameras there’s bound to be some excitement (and possibly disappointment). But there will be a bit of buzz for a while. Until the ole hedonic adaptation (or treadmill) kicks in. If that’s a new phrase you never heard of before I’ll try to give a quick unscientific explanation: it’s a theory that people quickly get used to a positive (or negative) event in their life and then return to the previous state of happiness. In other words the excitement of the new lens, camera or phone (or anything else) will wear off and you return to the level of happiness you had before the purchase. Bit like getting a quick energy boost from something sugary. Will a new mirrorless camera be different to what we have now? Will Nikons’ next mirrorless system be abandoned like the 1 series? In terms of the name on the front, yes. In terms of having a camera with no mirror in it………? Think we got those already. Will Canon or Nikon give us enough of a value proposition to avoid looking at Fuji, Sony, Panasonic or Olympus? If people have already switched I can’t see them returning to the fold. In the UK we still have very subdued consumer spending. A new camera offering will have to be more than “Hey look… we took the mirror out”. It should be “We took all the good stuff you like about our cameras and added a bunch of stuff to make your workflow easier”. I can’t think of anything compelling that would make me want to buy a new camera at the moment. Apart from a catastrophic impact onto a pavement or some internal mechanical failure. I appreciate there could be certain features that appeal to certain people, but I’m not going to buy the first generation new mirrorless Nikon put out. I would like an idea of where they will take their mirrorless system first. 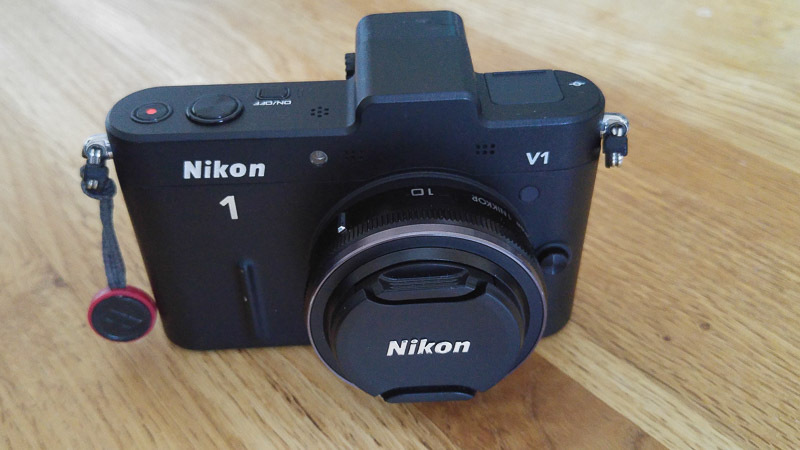 We don’t want or need another Nikon 1 series fiasco. Whether you like to use DSLR or mirrorless or both, I can’t help thinking that as photographers were in the same boat with the mobile users. Still waiting for the ‘next big thing’.